Compliance – Cornerstone Benefit Plans Inc. The Affordable Care Act (ACA) is one of the largest pieces of legislation this country has ever experienced, and the ACA will continue to evolve in years to come. This legislation impacts every employer, employee, and individual. As an employer, you cannot afford to endure possible penalties with unexpected audits by the Department of Labor (DOL). Cornerstone Benefit Plans, Inc. is prepared to assist your company in verifying that all of your documents are up-to-date in a DOL-approved format for audit purposes. 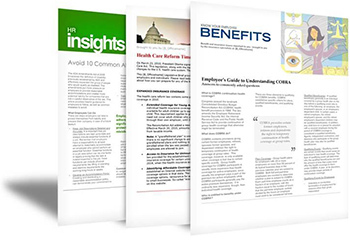 Cornerstone Benefit Plans, Inc. has successfully guided employers through recent ACA audits by the Department of Labor. Cornerstone Benefit Plans, Inc. is large enough to deliver the services you need, but small enough to provide you with the attention you deserve. Since 1982, founder Jerry Ciaramitaro has strived to provide industry leadership and utilize advances in technology for the benefit of his clients. Our deep knowledge of the benefits industry, technology, and a quality service team brings solutions that are designed to optimize value for your company’s employee benefit needs. Cornerstone Benefit Plans, Inc. supports employers of all types and sizes to assist in overcoming challenges by customizing benefits and simplifying benefit administration. As a Cornerstone client, your account is assigned to a dedicated Account Manager. This single contact point is available to you, your employees, and their families. Our Account Managers are knowledgeable, experienced, and can identify the correct questions to ask to resolve most situations. This will allow you as an employer to focus on your business, rather than the hassles and complexities of benefit requirements. Plus, we offer notices, forms, employee communications, and other materials to support compliance.